A Pair of New U.S. Embassies, Arriving at an Undiplomatic MomentReimagining the American compounds in New Delhi and Mexico City. Essex Crossing Is a Megadevelopment That Knows Its Tenement NeighborsA pair of towers and a new Essex Street Market, plunked into the Lower East Side, turn out to be surprisingly well-integrated into the local fabric. The De Blasio Climate Plan Is Big, Ambitious, and Very VagueBut it does make clear what a huge job it will be to keep the ocean out of lower Manhattan. My New Plan to Climate-Proof Lower ManhattanOver the coming years, we will spend up to $10 billion to extend the downtown waterfront as much as 500 feet into the East River. Is This Harvard Prototype the Greenest Building in America?HouseZero can handle Boston’s winters and summers, and a lot of its lessons are replicable anywhere. Who Works in the Chrysler Building? A Floor-by-Floor Investigation.The tenant list, revealed. A Built-From-Scratch Neighborhood in Washington That Doesn’t Feel PrefabThe Wharf doesn’t gaslight us into pretending it’s something it isn’t. When a Developer Comes for Your Little Neighborhood ParkIn Nolita and Nashville, two cautionary tales: If it’s not absolutely locked down as green space, it can become a building site. Growing Out of the ’60s: The Ford Foundation Building Gets RenewedPlantings that work, restored mid-century credenzas — and, finally, wheelchair access that’s not through the back. Rome Tried to Break Up Its Version of the MTA, and Only Apathy Stopped ItA big majority of voters were in favor — but so few people voted that it didn’t matter. Columbia U. Tries to Welcome the Neighbors — and Keeps Them at Arm’s LengthThe Manhattanville campus is simultaneously open and remote. What to Expect When Amazon Lands in Long Island CityPricier lunches and more transit needs. Newark’s Revival Is Finally Real. So Is Its Latest Problem.“We’ve been down so long we have to get it right,” one observer says. Modern Rome Is Falling Into Ruins, and Its Mayor Is FiddlingBasta! Why New York City Should Welcome Electric Scooters on Its StreetsHow can anyone detest these things? They are simple, cheap, and slightly goofy. Best of all, they could help us get rid of cars. Nashville Is Supposed to Be the Model Walkable 21st-Century City. Not Quite.A walkable downtown that’s still pretty car-dependent. 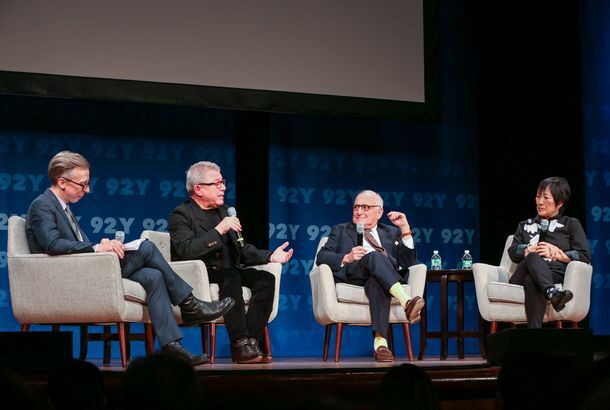 A Stage Full of Starchitects Debates the State of the IndustryBillie Tsien, Robert A.M. Stern, and Daniel Libeskind talk about museums as malls, architecture as performance, and who will design the Trump library. For One Day of Protest, Every City Belonged to Its PedestriansCities are places for openness — and carlessness. 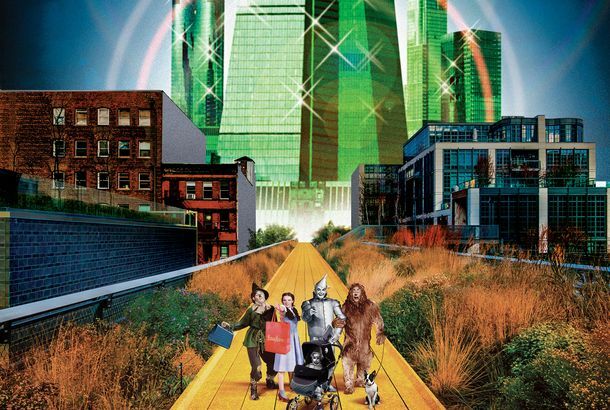 The 4 ‘Spaces’ Cities Need to Make People HappierKey ingredients to urban life. What Will New York Feel Like With Half a Million More People?It’s a crowded town. Will Brooklyn Finally Get a World-Class Skyline?A handful of new projects promise an end to Downtown’s drab-construction boom. Revisiting the Last Great Debate Over Skyscraper ShadowsAnother tall building, another fight over a share of light. These Are the Cities Within New York CityPart industrial park, part adult playground. Can Andrew Cuomo Be a Less Toxic Robert Moses?Most of what he can do is not building but repairing. Jean Nouvel Is a Master Without a StyleTalking to the architecte terrible who can’t stand one of his new buildings. 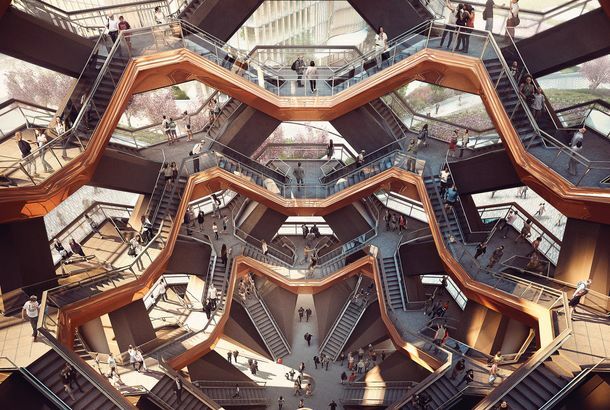 Which New York Is Yours?Talking to Jeremiah Moss of Vanishing New York and Nikolai Fedak of New York YIMBY, 50 years after the Landmark Law. The Rise of the Mile-High BuildingHow tall can tall be? When engineering meets ego, the sky is barely a limit at all. The Folly of Santiago Calatrava’s WTC StationHe was commissioned to design an architectural extravagance at ground zero. He succeeded, an accomplishment that threatens to destroy his reputation. A Proposed Megatower on the Pier Would Wreck the South Street SeaportThis battle doesn’t just pit preservation against development; it forces us to choose between preservation by neglect and a more active restoration. Who Wants a Supertall Skyline? The Emerging Aesthetic of the 1,000-Foot TowerDozens of supertall buildings are being built or planned. 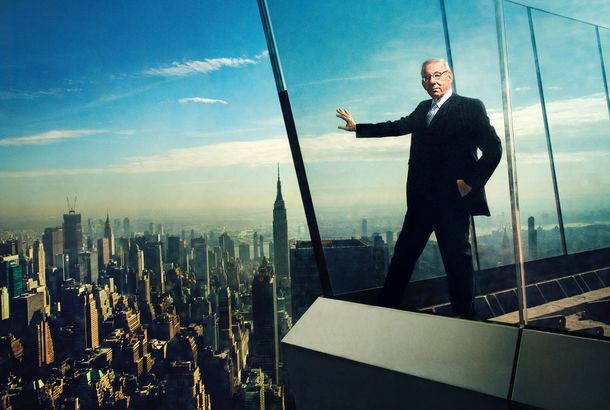 If we avert our gaze, we’ll get a bundle of glass stakes fencing off the air above ­Manhattan. Davidson on Preserving the Brooklyn Navy Yard It needs to be a place to make things.